Miami has a new mega-listing and it just happens to be making another splash in Coconut Grove. 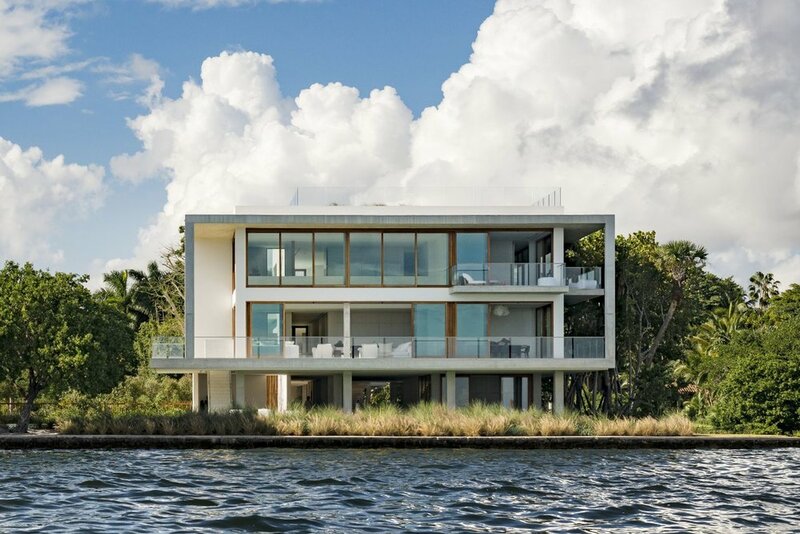 Casa Bahia, a 13,483 SF waterfront mansion has just listed for a cool $50 million. It was designed by Alejandro Landes in partnership with Zyscovich Architects and built in 2015 and won the Architizer Popular Choice A+ Award in the Architcture + Water category. The home features 7 bedrooms and 8 bathrooms with 4 kitchens and sits on 1 acre. It also features a home theater, wine room, 8 car garage/ gallery, private dock on 518 ft of waterfront and infinity pool. It is currently listed by Pablo Alfaro of Douglas Elliman Real Estate. Photos by Douglas Elliman.